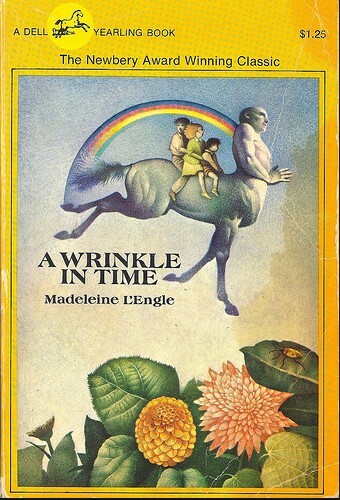 When I was a kid, I read “A Wrinkle in Time”. It is the story of a young girl, Meg, who travels through time and space with her brother and a few others to rescue her dad. Along the way, she and her traveling companions learn that the universe is threatened by a great evil called the Dark Thing. The Dark Thing is taking the form of a giant black cloud, engulfing the planets and stars around it. In order to save their dad, Meg must realize that her only weapon to defeat the darkness is the one thing it doesn’t have – Love. Only through love can she restore her brother, who was captured by it, and rescue her dad. I have always loved that idea. Clung to it… Push back the dark. Sometimes, too often, I forget that the best way to do that is to love people. Phil Waldrup has a great sermon where he talked about how people loved the apostle Paul because he loved people… Paul concludes Romans with a whole chapter just celebrating people he loves. (And they all are slaves, servants, the ones society pushed aside; not the leaders and elite.) Now, most of us would say we love people, that our churches love people, but how do we demonstrate it? How would Jesus have us demonstrate it? Over and over again, the Bible speaks to us of love. In Matthew 22:37, when asked what was the most important commandment, Jesus told us to love God with all our heart, soul, and mind first, then to “love your neighbor as yourself because all the law and the Prophets hang on these two.” Did you catch that… everything hangs on love. Go back and read Corinthians chapter 13 – I mean when was the last time you read that chapter of the Bible outside of a wedding? Go ahead and read it, I’ll wait… It’s not really about romantic love at all. It is about loving the people around us. Pull out your Bible app if you have it, search on love and read a few. If you try to read them all, you’ll be there all day. Or if you have a red-letter Bible, just take some time and read the words of Jesus. Then go back and reflect on your yesterday, last week, the past year. What was your first thought when you passed the homeless person asking for spare change on the exit ramp? Annoyance or empathy? How did you react when that new person wandered into your church, covered in tattoos, or dressed in a way that made you uncomfortable? Did you celebrate that they were coming to the cross, greet them with a smile and a warm handshake? Or wish that they’d get their act cleaned up before they come back? If someone disagrees with you on Facebook do you fire off a snarky comment? Do you tip well? Do you say hello to people on the street with a genuine smile? Are you kind to the postal worker or trash man? What about the Muslim family that moved in down the street? Where was you heart on the whole Syrian refugee crisis? How do you interact with the atheist classmate, or the gay neighbor? How about the gentleman who sacks your groceries with special needs that is annoyingly chatty? Your republican uncle or democrat aunt? Loving people the way Jesus showed us and told us means seeing all that someone can be, was meant to be, and is in the eyes of the one who created them. Loving like Jesus should change your world-view, make you kind. Loving like Jesus is so counter to our culture. There is a lot of unkindness today. Far too much of it coming from ‘The Church’ and extremist Christian leaders. As I have drawn closer to God, learned more about Jesus, I’ve learned that I am not always as kind as I could or should be. I’m learning to re-frame how I look at the world, at people (especially those I may not see eye-to-eye with). I am learning to tune out ‘the American Dream’ and all of our mixed up, backwards priorities, and even some modern day ‘church leaders’ because their words do not match up to my Savior’s. Our world is being engulfed by a darkness that most people don’t see and many have already succumbed to. In His Word, God has already told us how to defeat it. We have the power – love. Love the people who have been overcome by the darkness. Love people who are different, who are lost, who are struggling. Love is patient, humble, hopeful, generous, peaceful, yielding, kind. Let’s throw more kindness out there. Put on love. Share love. Show love. Because everything hangs on this.